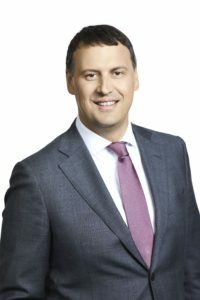 The Swedish pharmacy chain Apoteksgruppen owned by Euroapotheca, which unites pharmacy chains in the Baltic countries, Poland and Sweden, will have a new CEO. Tony Johansson, CEO of Apoteksgruppen, has decided to leave his position and Euroapotheca group. Sara Mohammar, Head of People department at Apoteksgruppen has been appointed as the new CEO. Robertas Čipkus, who joined Euroapotheca management team in March, has been appointed as CFO at Apoteksgruppen. The changes will apply from the AGM which is on April 10, 2019. 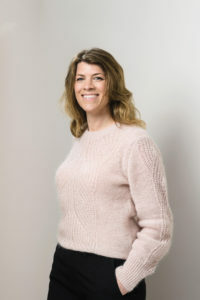 Sara Mohammar has been the Head of HR at Apoteksgruppen since September 2018. She has a solid background in both the private and public sector and self-employed within HR, organisational psychology and change management. She has worked both in international retail companies such as Mediamarkt and Adidas as well as within property development for Skanska in Central and Eastern Europe. Robertas Čipkus has over 20 years of experience in finance and retail management. Robertas has joined Vilniaus Prekyba Group four years ago, he worked for Maxima Grupė and for other affiliates of Vilniaus Prekyba. At the beginning of 2018, Euroapotheca acquired Apoteksgruppen from the Swedish state and private owners of franchise pharmacies. Since then, Apoteksgruppen has undergone a successful transformation from 114 independent entities to an integrated pharmacy chain. Tony Johansson, CEO, has led the change work for three intensive years, leading up to the acquisition last year. “Tony has done a tremendous job in leading the transformation of the Apoteksgruppen from a state-owned service organisation to franchisees to an integrated private pharmacy chain, at the same time continuously servicing Apoteksgruppen current franchisees. A big thank you to Tony and his team. We respect Tony’s decision to leave and wish him all the best in the future”, said Raimonda Kižienė, Chairman of Euroapotheca board. “At the same time we are very pleased to welcome Sara in her new role as CEO and wishing her all the best to lead Apoteksgruppen to the next stage of development””. “I’ve had a fantastic time at Apoteksgruppen, it has been extremely stimulating to, together with my talented colleagues, lead such a complicated transformation from an almost 100 percent member and franchise company to being a largely chain-driven pharmacy. This was after a very fast sales process. I wish Apoteksgruppen’s new CEO Sara Mohammar good luck in taking over the baton as Apoteksgruppen now enters a new phase”. says the outgoing CEO Tony Johansson. “I feel happy and honoured by the confidence of our owners to push Apoteksgruppen forward at this exciting time. We have considerable potential to differentiate ourselves from the competitors and increase our market share – with our dedicated employees, our two business models that meet the needs of our employees, clients and partners and with development oriented Euroapotheca behind us”, says Sara Mohammar, the incoming CEO.